"Be careful what you wish for when Leprechaun Returns arrives on Blu-ray and DVD this June from Lionsgate. The devious and deadly wisecracking Leprechaun returns to reclaim his pot of gold from a sorority house property…all while gleefully going on a Leprechaun-style killing spree. LEPRECHAUN RETURNS stars Linden Porco as The Leprechaun with his signature hat and shiny shoes, Taylor Spreitler, and Mark Holton, who returns to the series for the first time since the original 1993 film. 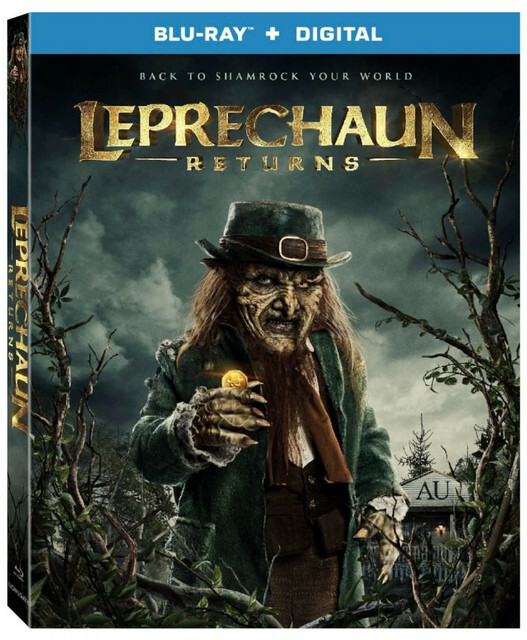 LEPRECHAUN RETURNS Blu-ray and DVD will include a making-of featurette, behind-the-scenes footage, and still gallery. LEPRECHAUN RETURNS comes to Blu-ray and DVD June 11th.